An advanced aqueous form of Selenium Ions (IsoIonic™)** in clear solution for quicker absorption than tablets or capsules which must first dissolve in the digestive system before being absorbed. Patented, clinically tested professional grade CHD-Fulvic Acid has been added to further increase absorption and enhance overall well-being as fulvic acid has natural anti-viral, anti-bacterial, anti-inflammatory, and detoxification properties. Prepared from a pure elemental source. 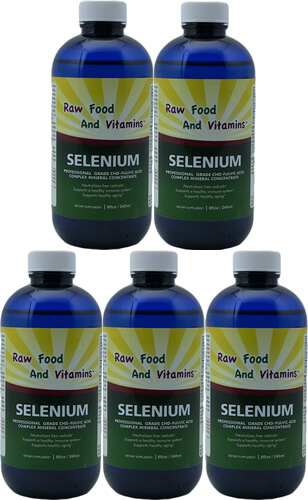 2.5ml (1/2 cap) provides 571% of the Daily Value for Selenium.